31 The inspiring story behind the Birth of the "Pulsar"..!! "We were telling our people that there are 15 guys who have never made a bike but are going to come together to do that. They are going to do that on their own, and not with Kawasaki. They are going to do a 200cc bike when we couldn't make a 100cc one. They are going to make the fastest motorcycle when we couldn't make a mass motorcycle. And they are going to make a huge amount of profit when we were making a loss. This seemed like nonsense. But they proved it wrong." That's Rajiv Bajaj, the elder Bajaj scion narrating to BusinessWorld how tough it was for him to persuade his own board of directors. The idea was to develop an indigenously developed performance oriented motorcycle without any help of its Japanese partner Kawasaki. And how he and his team has been successful in achieving what many people thought was impossible to achieve. Rajiv Bajaj was just in his early 30's when he tried to sell this idea. The mid-nineties were tough times for Bajaj Auto. Bajaj Auto used to dominate India’s two wheeler industry with its scooter for the better part of the last century. But as India marched towards the new millennium, there was a dramatic shift in the preference of consumers. The market shifted in favor of Motorcycles. By 1999 motorcycles overtook scooter sales for the first time. "You can't make bikes. 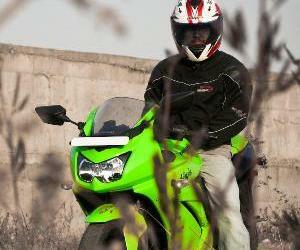 Even if you make bikes, you can only make 100cc bikes with the help of Kawasaki. That too with issues of quality. Then you need hundreds of Japanese to come and set it right". Frankly speaking at that time either the very brave or the foolish would have dared to put his smart money on Bajaj Auto. Bajaj Auto was primarily a scooter manufacturer. Its motorcycle manufacturing cost was high, the quality too low. Its initial models failed to excite the consumer. The company faced a question of survival. What was wrong with Bajaj Auto..?? The challenge was to get the right products at the right price and to bring in Japanese Style Management Practices.. But people at Bajaj Auto did not want to change..
Rajiv Bajaj says that the problem was of one of attitude: Bajaj was a scooter company and therefore the motorcycle department was given second-class treatment (it was only 10 per cent of their business in 1996), the quality of the products was poor, and they did not offer fuel efficiency the way the Japanese bikes did. The manufacturing processes were outdated. Simply put Bajaj Auto did not know how to make motorcycles and the people at Bajaj Auto were not willing to change. 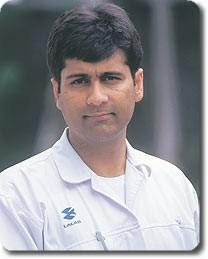 In 1991, Rajiv Bajaj completed his M.S. in manufacturing systems engineering from the University of Warwick, UK and returned to join Bajaj Auto. Rajiv Bajaj recalls how things were wrong at Bajaj Auto. "We went into a series of new products around 1995, and started focusing on motorcycles. And we were aghast because the only reasonably sophisticated product we were making was the Kawasaki four-stroke motorcycle. And the warranty cost of our motorcycle was five to six times that of Hero Honda. It was bad quality... bad quality of manufacturing." "There was great cynicism whether something was wrong with Kawasaki or with Bajaj. Kawasaki couldn't have gone wrong in that. We were sure that the same motorcycle made by Kawasaki in Japan would not have had these problems. There was probably something wrong with us." It takes great courage for someone to accept ones mistakes and faults. But then accepting and taking ownership of ones fault is the first step towards improvement. The challenge next was to get the right products at the right price and to bring in Japanese productivity tools (the management practices that the Japanese pioneered for efficient production) to reduce costs just as the competitors were doing. Sanjiv Bajaj, the younger brother of Rajiv had joined the company armed with an MBA from Harvard, says his reading of big companies like Honda, Toyota and Apple had taught him one thing: a successful company needs a good product. But most workers in the Pune plant did not believe you could bring in Japanese management practices into India; there was stiff resistance to the move. The problem with Bajaj was that we were so successful with autorickshaws that all that mattered was production. Manufacturing was the overall priority at a time when there was a 10-year waiting list. But there wasn't any focus in the organisation to build a company where people with an open mind would try new things. "Each time I tried to push a radical idea, I always got the answer directly or indirectly -- that it's OK in Japan. It doesn't happen in India"
All those who did not want to change were simply sacked..!! "Each time I tried to push a radical idea, I always got the answer directly or indirectly -- that it's OK in Japan. It doesn't happen in India. So I was desperate to prove that it happens in India. I wanted a plant where we start the right way from day one. That's how Chakan started." Chakan was the third plant of Bajaj apart from the ones at Akrudi and Waluj. The Chakan plant was started to only produce the new bike (Pulsar) with an entirely new workforce and new management. The workforce mainly constituted of fresh graduates from college who were open to new ideas. What happened to the senior management who resisted Rajiv Bajaj’s radical ideas..?? Well all those who did not want to change were simply sacked..!! Rahul Bajaj, father of Rajiv Bajaj was not exactly sure whether it was the right thing to do but he nevertheless chose to keep his faith on his sons. Rajiv Bajaj along with his younger brother Sanjiv Bajaj went ahead to set things right along with a new team. His new team comprised of mostly guys who them selves loved riding bikes and understood biking. "We have a young bunch of people, many of whom are motorcycle riders. They are crazy about bikes and understand the customer’s requirements as users," adds Abraham Joseph, the R&D Head who himself joined in 1989. There are others like Ravi Darad, Bajaj Auto's stylist who is an engineer from IIT-Bombay and who is a keen biker himself. The guys who teamed up with the Bajaj Brothers for this remarkable turnaround were. Vendors: The cost effectiveness and quality of motorcycles manufactured depends on the management of the vendors which supplies the parts. The Bajaj brothers discovered that they had over 1,000 vendors supplying them components, many of which were plain bad in quality, Rajiv decided to prune them down to a around 200. The vendors were even given training on producing quality components. If required they were given training by foreign consultants. Dealers: Bajaj Dealers so far had been selling scooters. 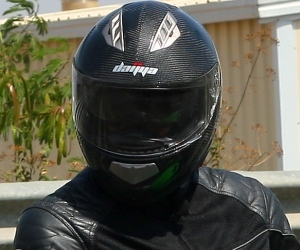 Rajiv Bajaj understood that selling motorcycles were an entirely different proposition. The dealers were overhauled so that they could sell motorcycles. The result is there for all of us to see now. Bajaj Dealerships all over the country have been designed to cater to the new motorcycle buying customer. "Our target was: full throttle for 100 hours continuously. The first time, it failed within 10 minutes. Today, the Pulsar engine goes 300 hours full throttle." Abraham Joseph, the R&D Head is a Mechanical Engineer from the National Institute of Technology (previously called Regional Engineering College), Bhopal. "What is R&D? It's nothing but an engineer who wants to try something. We always tell ourselves that some of the best motorcycles were made by BMW and Honda long before the computers were invented. It's really the spirit of the engineer which is important for R&D. When I walked into the Kawasaki R&D for the first time, I thought I would see a lot of old grey-haired people with thick glasses. The average age there is 26 or 27. The engineer does not require experience. You need people with imagination. Our R&D today is 113 people. The average age there is under 30." "The number of mistakes we have made in the Pulsar engine before we got it right is really the learning. One of the endurance tests we have is to take the engine full throttle. 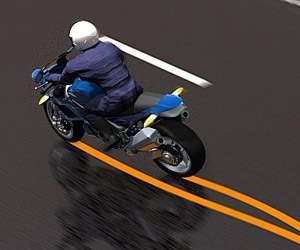 Now, full throttle on a bike is rare on the road. Our target was: full throttle for 100 hours continuously. The first time, it failed within 10 minutes. Today, the Pulsar engine goes 300 hours full throttle." The reason behind the success of the Pulsars soon became obvious to the Bajaj Brothers when they saw the stance that riders took while driving the bike. 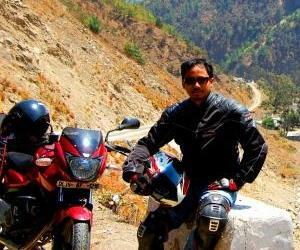 The Pulsar was fulfilling the desire of the riders to take on a youthful persona. The Marketing Team provided the inputs for the concept bike. They found there was a market of customers looking for something more than just a bike for commuting. They wanted rugged styling and more power. The design department then came up with eight-10 different designs that Rajiv and his team narrow down to three or four. Feedback on the styling was sought through market surveys; finally, two prototypes of the bike are made. Rajiv & his team worked on at least two to three variations of engines, of which one is selected. Rajiv Bajaj personally supervised even nitty-gritty details, from the styling and paint to the design of the console, the right grip and even the spark plug to use. All this took 24-30 months. 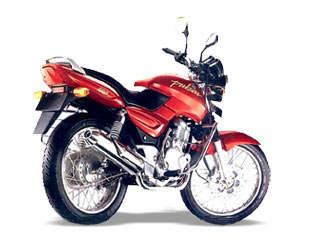 Finally the Pulsar was launched in November 2001 with two engine options of 150 cc and 180 cc. Sanjiv Bajaj notes, "When we conceived the bike, we thought the target audience would be 25-35-year-olds. But when we saw the sales chart, it was being being picked up by 35-45-year-old customers." They soon realized the reason when they saw the stance that riders took while driving the bike. The Pulsar was fulfilling the desire of the riders to take on a youthful persona. Perhaps in the same way the formally dressed executive in the US may drive a Range Rover SUV to create the image of a man who seeks adventure. Although the Pulsars did had quality issues it was the only bike which best satisfied the needs of the Indian Biker. It was powerful, cheaper and muscular looking than other bikes in its category. During those days I used to have a Hero Honda CBZ (Original). Like many Indians even I wasn’t convinced that Bajaj could produce a quality product which could compete with the likes of Honda, Yamaha or Suzuki. But the stellar performance of the Pulsar in the premium Bajaj has proved everyone including me wrong. The Pulsars has comfortably outsold any other 150 cc motorcycle in India and has dominated the 150 cc and above sales since its launch. Meanwhile instead of sitting idle on its laurels, Bajaj has been constantly upgrading its models giving the mighty Japanese a run for their money. The Pulsar symbolizes the spirit of a resurgent India of the 21'st century. It also represents the manufacturing and managerial prowess of Indians. But there is also a moral to this inspiring story. To tell that, let me first narrate another story .. It is about how elephants are kept in thailand. I happened to stumbled upon this story in another blog. To keep the elephants from running away all that the thai's do is just tie tie a rope (or a single chain) to the elephants leg and secure it to a stake in the ground. Once his leg is secured, he will not run away. Now, do you think the elephant actually has the potential to break the chain or rope if he wanted to? Of course! He can pull down an entire tree! But why won’t he break the weak rope that holds secures his leg? The answer came from the keepers. It lies in making the elephant "believe" that he "cannot" break the string. This conditioning begins from young. When the elephant is a baby and still too weak to walk or even stand properly, they tie his leg to the stake in the ground. Sure enough when the baby elephant tries to run to its mother, it would not able to break the chains that bind it. When it attempts to run, the chain will catch its leg and it will fall onto the ground. After expriencing all the pain from falling again and again, one day the elephant will not bother to pull the chain any more. The moment this happens, the keepers know that the elephant has been condiitoned to be trapped for the rest of its life. The workers at Bajaj auto were similarly trapped by their limiting beliefs and habits that they could have easily changed if they wished to but they never attempted because they believed that they could not achieve Japanese levels of efficiency and quality. This self limiting belief is still present among some consumers who even to this day blatantly refuse to accept that Bajaj and other Bike Makers can produce products which are of good quality. But I have observed that with each successful launch by these Indian bike makers, the number of such non believers are reducing in numbers. Rajiv and Sanjiv Bajaj has shown tremendous courage and self belief that "Impossible is nothing". They have proved that Indians are capable of competing with the best in the world and in this process they have made every Indian proud, including your's truly. Indian Two Wheeler Industry.. Evolution or Revolution..?? 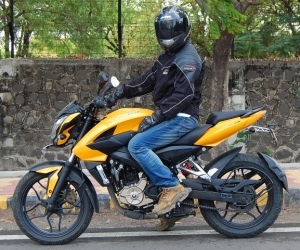 Readers vote The Bajaj Pulsar as the "Bike which Defines India's 60 years of Independence"
Is The Bajaj Pulsar, an excercise in "Trial & Error"..?? Why hasn't Honda made a mark with its "Unicorn" in India..?? Excellent article dude!Its the real trends brought up bu the Bajaj's to get in to market after recession. Wonderful article.. very inspiring to say the least.. Good job! Everybody keeps on saying that Bajaj is a Rahul Bajaj company. I also agree that it was a Rahul Bajaj company till the early 1990s. But now the leadership and foresightedness of Rajiv and Sanjiv Bajaj has recreated a New Bajaj. Given it a new life. So why don't we hear more about Rajiv and Sanjiv Bajaj? They are the one's who'll take Bajaj and India into the new world. Dont you all agree that Pulsar 150 is hugely inspired by CBZ and now the New Pulsar 220 is inspired by Karizma. The article reflected the thoughtful study done to gather the facts and thus qualifies for great appreciation. It made me recall the very first Pulsar advertisement, in which a Pulsar with round headlight stares 2 ongoing girls and "Definitely Male" resonates in background! One should not state that Pulsar 150 and Pulsar 220 are inspired by CBZ and Karizma respectively. Although being first in their own segments, the Hero Honda bikes have the credit to test the Indian markets and provide their competitors with the valuable market data. Good article.It's really nice to know that they had faith in themselves.I hope HH reads this and gets inspired.In that way, they can survive without the JV partner Honda. nice to know about the bike i love the most. P.S. : These innumerable grammatical errors are an eyesore, won't let me enjoy the article fully. Just a personal opinion. This is by far my fav. article in this blog. I really respect Bajaj esp. Rahul Bajaj for such an endeavour. Hats off 2 BAJAJ.theY made sumthing that was nearly 2 IMPOSSIBLE.......!!!!!!!!!!! i love my PULSAR.......!!!!! its all abt Hamara Bajaj.. jst love my Pulsar220..
the wroom comes from the noise of engine inspires us..
we had most talented minds in india.. The great thought "The young blood has the persona to show the world"
we have nothing to prove..we are the best.. Thanks everybody for liking my post. TVS products are not that bad. It's really a very heart full congrats to you brothers that you guys bring PULSAR in this markets.After reading your journey from No.4 To No.1 position i really appreciate that we are tie up with you guys.That's why we guys believe that once we ride the pulsar we are unable to touch any motorcycle of Indian brand. Thanks once again to MR Rajiv & Mr. Sanjib Bajaj.